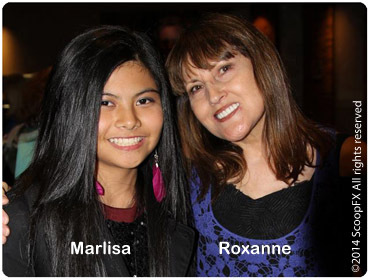 From her first lesson with Roxanne Kiely, Marlisa Punzalan showed she has an enormous capacity to retain all the information that Roxanne was giving her. Apart from her obvious talent, Marlisa has tons of the other elements which go towards creating success, namely self-discipline, determination and the ability to comprehend and utilise the information which she is being taught. 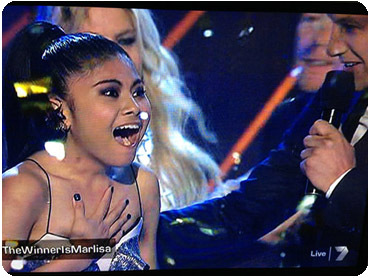 All throughout the X-Factor 2014 competition, the judges kept referring to her as "the 14-year old Marlisa", or "just turned 15", which does make her win all that more impressive, but her age has not proven to be that important to her, or to us as her teachers. 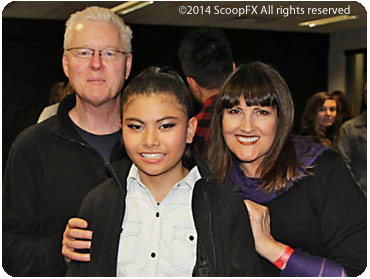 Marlisa generously thanks her teacher for showing her how to find her true voice and let it shine. 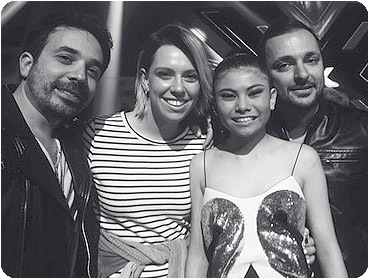 Pictured here is Marlisa, with the writers of her first hit single, "Stand By You", Hayley Warner and DNA Songs. SONY Music was so impressed with the young singer that they were determined to have a song, specially written for her, available as soon as X-Factor 2014 winner was announced. Marlisa's first album will be out soon featuring songs from the show, ahead of her tour with Guy Sebastian in 2015. 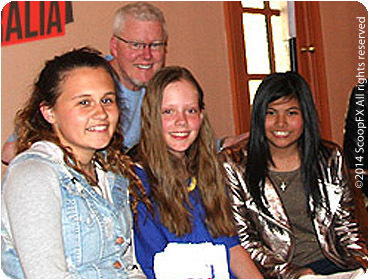 Marlisa with fellow songwriting students, at a Songsalive! 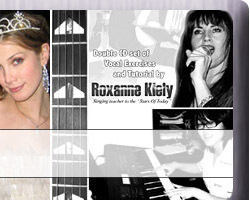 Australia songwriting weekend workshop she attended in 2013 in the Blue Mountains. 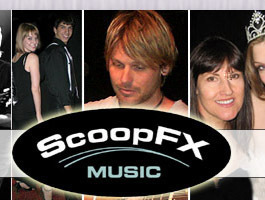 Roxanne is the President and Stephen the Vice President of Songsalive! Australia, the national songwriting organisation which Roxanne founded in 1997. 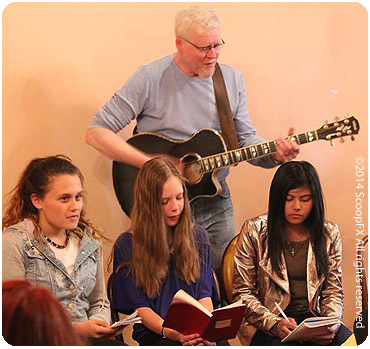 On the day of this picture, Marlisa and her friends had just finished writing a song with Stephen, and were about to perform it for the other songwriters who attended the workshop. Check out the concentration on their faces as the four writers perform their newly-written song for the first time. 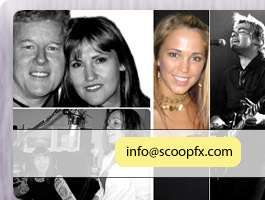 Apart from monthly songwriting workshops in Sydney City and Parramatta, Songsalive! Australia also run a national songwriting competition, The Song Comp, which features over $60,000 in cash and prizes. No doubt Marlisa's next album will feature songs she has written herself, because once she puts her mind to something, she is determined to be the very best at it that she can...and she has certainly proven that already, hasn't she? Marlisa, singing her hit single, "Stand By You"
Here is an article by Regelio Constantino Medina of the Philippine Star on Marlisa and her teachers. The following video was uploaded to YouTube by a couple of Marlisa's fans. We're flattered that they would go to the trouble.